Touch controlled recessed lighting casts an alluring glow over items on display in our Westland Amish Hutch, shown in Oak with a Country Road stain. Mortise and tenon joinery ensure the longevity of your made-to-order Westland Amish Hutch. 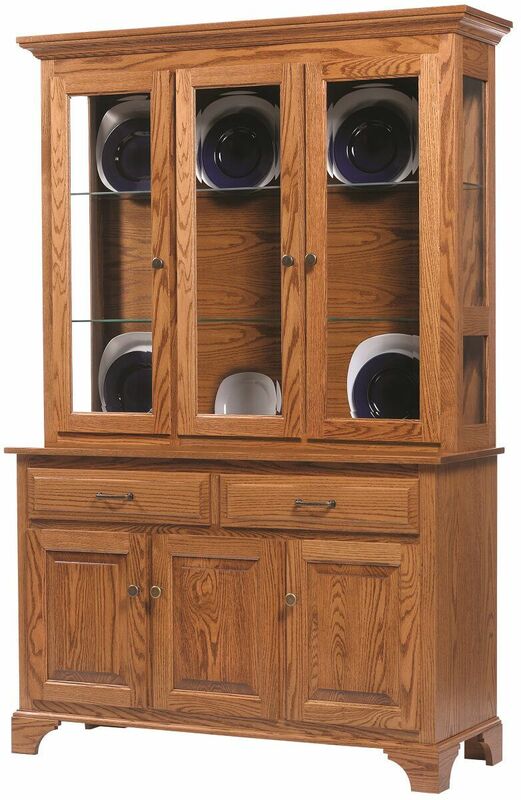 Choose your wood, stain, and hardware and our Amish craftsmen will create the handmade hardwood china cabinet you design. Choose carefully, as this sturdy dining hutch will be in your family for generations. Let Countryside get your one of a kind Westland Amish Hutch started today. Shop the rest of our traditional Westland Collection to choose the perfect table, dining chairs, and matching hutches to complete your set.